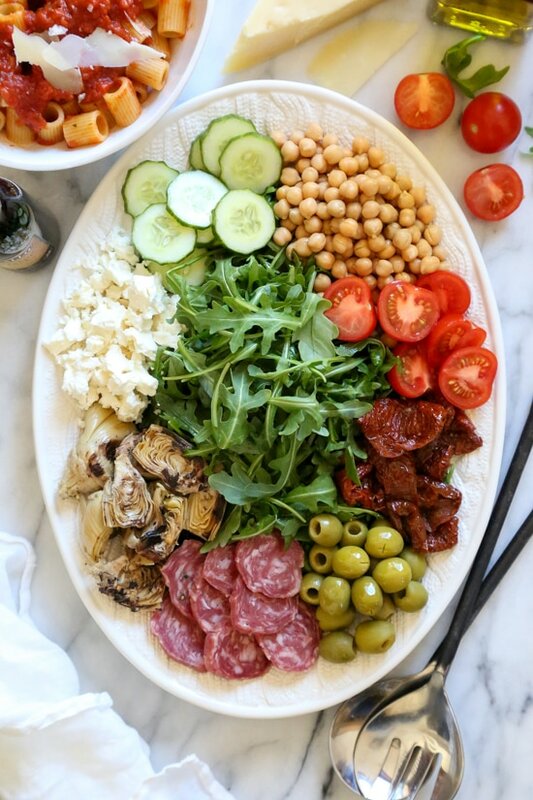 For fuss free entertaining, nothing is easier (and prettier) than creating an antipasto salad platter! 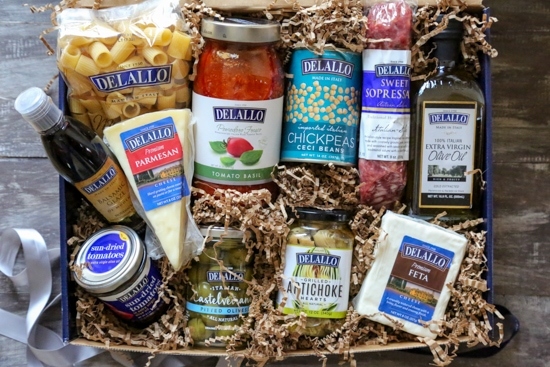 And that is why I’m so excited to share this Skinnytaste Fuss-Free Dinner Gift Collection filled with all my DeLallo Foods favorites, all hand picked by me! I love giving the gift of food, it’s the perfect gift box for someone special in your life, I plan on giving these to all my friends and family members that have “everything” and don’t need more “stuff” (like my in-laws)!